The opportunities to use technology in exciting new ways are seemingly endless, thanks to the rapid innovation and more digital capabilities than ever before. As a result, the demands on IT leaders’ time and attention are also increasing. This could easily result in a simple mistake sending IT costs spiralling upwards. Adaption and transition to cloud can lead to organizations falling into the budgeting pothole easily. Moving to software-as-a-service (SaaS) applications can make more sense than a lift and shift to the cloud for many companies. Software vendors are also increasingly putting more resources into the SaaS versions of their applications instead of the licensed ones. As a result, SaaS customers get updates and improvements more frequently, without requiring update work from their IT staff. SaaS applications cost less than on-premises ones, depending on how you look at it. If you have five network engineers managing servers, you don’t need them if you’re in the cloud. But you know that’s built into the cost. SaaS can provide meaningful cost savings to smaller organizations with a very small IT staff because in effect, it allows them to hire a fraction of a person. Another difference between SaaS and licensed software is that monthly subscription fees count as operating expenses rather than capital expenses. This could be a very big deal, depending on how your organization is structured and how it reports its financial performance. Some organizations will never move to the cloud because it’s better for their balance sheets to have capital expenditures versus operating expenditures, irrespective of the fact that there could be overall cost savings. Put some time and thought into your contract negotiations to keep SaaS costs from getting out of control. It’s really important to make sure you can lock as low a price increase as you can. It’s good if you can lock in two or three years of zero increases or lock in 2 or 3 percent, or tie it to the consumer price index for a few years after that. It’s also smart to negotiate up front what will happen if you decide to leave a SaaS provider. 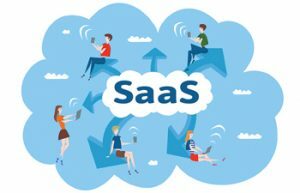 Though it’s not fun to think about, a move to SaaS can create future cost problems in case of a downturn in your business or in the economy at large. The move to cloud has been hitting since the last big economic downturn. You can’t choose to stop paying unless you’re also willing to stop using the software with SaaS. There’s not much we can do about it, but just be aware as we get to the next downturn, your flexibility will be limited.